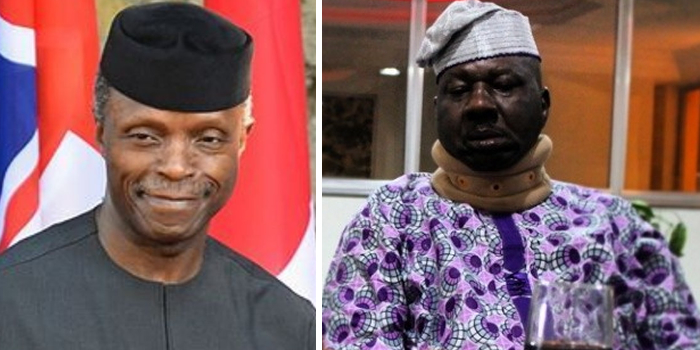 Nigeria Vice President, Yemi Osinbajo has donated ₦1,000,000 for the treatment of popular Nollywood actor, Babatunde Omidina also known as Baba Suwe. According to Goldmyne TV, the Vice President also offered prayers to the veteran actor. The donation for the treatment of the actor was delivered by a representative of Osinbajo alongside actress, Remi Surutu and others. Baba Suwe in his reaction to the donation offered his prayers to the VP and also wished the All Progressives Congress the best in the coming elections.